Jesus has revealed that He is a “new” creation (God-Man) emanating from God, the “new” sacrificial Lamb of God for the atonement of sin, the “new baptizer” not by water but by the Holy Spirit, the “new” wine and the “new” temple of God. He is also the “new” authority over God's House. He will now reveal that He is the One through whom mankind can be “born again or anew” – “new birth.” This “new birth” is a spiritual birth, not a natural birth. What the first Adam lost, Jesus will regain. 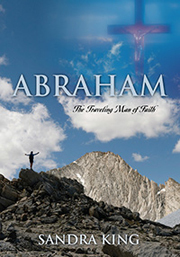 Adam was holy (without sin) when the Godhead created him. Adam walked and talked with God in the Garden of God's presence. Because of the original sin, Adam was cast out of the Garden along with his bride. Jesus is the Second and Last Adam. The Holy One – the Divine Word – will leave His place of glory with the Father to come to earth to restore mankind – His Bride -- back to holiness and God's presence once again. Jesus Himself said, “Behold, I make all things new.” Revelation 21:5 Jesus came to earth to establish a “new” covenant with mankind. The “old” was fading away so the “new” could come. John the Baptist was the last of the Old Testament prophets. Because the Jewish religious leaders wanted to hold on to the “old,” they missed the Truth of Jesus Christ in the “new.” Hebrews 8:14 says, “A new covenant,” He has made the first obsolete. Now what is becoming obsolete and growing old is ready to vanish away.” It is important for the Church to understand this. Jesus said that we can't put new wine into old wineskins, or a new patch on an old garment. The old wineskin and old garment will break away from the new. Jesus is the new wine and the new garment of righteousness. Grace and Law cannot mix. One requires the work of man (Law) but the other is the work of God alone (Jesus). Jesus' ministry in Jerusalem has attracted much attention – both good and bad. Some believed while the faith of others was superficial. Jesus knew the heart of man and knew that there were those who were following Him because of His signs and miracles, but didn't commit to Him fully. Because Jesus knew their hearts, He didn't entrust Himself to them. Then there were the religious leaders who didn't believe in Him at all and wanted to prove that He was a fraud. Nicodemus was obviously not one who shared the opinion of the other Pharisees. John 3:1 Now there was a man of the Pharisees named Nicodemus,a member of the Jewish ruling council (Sanhedrin). Nicodemus was a Pharisee (teacher of the Law to the Jews). Nicodemus not only taught the Law, He observed it faithfully. He also sat on the ruling Sanhedrin Council who oversaw religious affairs. This was a powerful man in the Jewish religious community. He had seen Jesus perform miracles and heard His words. This obviously lit a spark in Nicodemus' mind and heart because he came to Jesus at night to get to know and understand the Supreme Teacher and Lord, Jesus, better. This seeker of Truth is about to meet with the “new” Word/Truth come from God! Nicodemus came to Jesus in darkness just as all believers come to Him while still in the darkness of sin. Jesus will not leave Nicodemus in darkness just as He doesn't leave sinners who believe in Him in darkness either. Nicodemus' darkened understanding will be exposed to the true Light – the Living Truth – who enlightens every man. (see John 1:9) Without Jesus (Word of God) and the Holy Spirit, we are all in spiritual darkness. Because Jesus knew Nicodemus' thoughts and heart, He knew that Nicodemus was a seeker of truth and the Kingdom of God. Jesus will tell him how to enter the Kingdom of God. “Rabbi, we know you are a teacher who has come from God. For no one could perform the miraculous signs you are doing if God were not with Him.” 3:2 Nicodemus is a deep thinker. He realizes that there is something special in this Jesus, and that God was with Him, but He didn't see Him as the Son of God yet. The other Pharisees questioned and mocked Jesus, but not Nicodemus. He was a seeker of Truth. Nicodemus means “conqueror.” Those who know Jesus will be more than conquerors over the works of the enemy of peoples' souls. Nicodemus had just recently seen the miracles Jesus performed so Nicodemus wants to explore further the things Jesus did and said. Nicodemus' words were almost flattering but Jesus doesn't react to it. Instead, Jesus cuts to the chase and goes to the heart of the matter – “I tell you the Truth, no one can see the kingdom of God unless he is born again.” v3 Because Jesus is Truth, He only speaks Truth. He wants Nicodemus to know the truth that no one can enter the Kingdom of God unless He is born in the Spirit. Because Nicodemus hasn't received Jesus as His Savior, he is spiritually blinded to the Truth of Jesus. Nicodemus responds to Jesus, “How can a man be born when he is old? Surely he cannot enter a second time into his mother's womb to be born!” v4 Nicodemus sees with “natural” eyes. Jesus is talking about a spiritual birth. Spiritual life must be born in the human heart through Jesus and the Holy Spirit – the Anointed Word. Without Jesus and the Holy Spirit we are spiritually dead. Through Jesus and the Holy Spirit we are to transition from the old, fleshly life of sin into a new life of loving obedience to Jesus. Our old nature must fade away to make way for the new. This is also true of the Law fading away to bring in the new in Jesus who is full of grace and truth. Instead of the demands of the Law, we obey Jesus out of faith and love. We will love God sincerely from the heart and seek to please Him. To the Jew, when a gentile converted to Judaism, he was considered “reborn.” Nicodemus would balk at the suggestion that he must repent, be baptized and be born again. Jesus is telling this Jewish religious leader that he must be reborn! Because Jews understood that they were the chosen people of God, this would be unheard of and downright humiliating to a Jewish Pharisee like Nicodemus. But, Nicodemus has been drawn to Jesus and wants to hear and see more. Jesus is talking to Nicodemus on a whole different level. Jesus wants to bring him to the spiritual level. Because God is Spirit and His Kingdom is spiritual, one cannot enter His Kingdom unless they are born anew in the Spirit. If the first Adam was not holy and spiritual, he could not have walked and talked with God in His holy Garden. What is fleshly and sinful cannot reside with holiness. God had to remedy this for mankind through His Son so we can walk and talk with God freely once again and for all eternity. Nicodemus was well aware that John the Baptist had just baptized with water and preached repentance in preparation of Christ's coming. But water baptism is not enough. It is the Holy Spirit that gives spiritual birth to our spirit. Jesus birthed His spiritual Body of believers through the water of regeneration (new birth) and the blood of salvation that flowed from the wound in His side on the cross. He agonizingly suffered to do this for us. Believers in Christ must travail to birth the Body of Christ on earth. Jesus goes on to say to Nicodemus, “You should not be surprised by My saying, 'You must be born again.' The wind blows wherever it pleases. You hear its sound but you cannot tell where it comes from or where it is going. So it is with everyone born of the Spirit.” vv7-8 Jesus compares the Holy Spirit to the wind. The same Hebrew word –ruach – is used for wind and Spirit. We see and feel the effects of the wind, but we can't see the wind. The Holy Spirit works in the same way. We can't see Him but we see His effects in the hearts and lives of those who love and follow Christ. We can't deny that the wind exists because we can't see it. We also can't deny that the Holy Spirit exists because we can't see Him. We know that the wind comes from God and we see its movement. So too with the Holy Spirit. Jesus wants us to become like the Holy Spirit and go where He leads us by faith. Again Jesus speaks truth to Nicodemus. “I tell you the truth, we speak of what we know and we testify of what we have seen, but still you people do not accept our testimony,” v11 Jesus is saying that He is speaking the truth but the Jewish Pharisees won't accept the truth. “I have spoken to you of earthly things and you do not believe, how then will you believe if I speak of heavenly things? No one has ever gone into heaven except the one who came from heaven-- the Son of Man. Vv 12-13 Jesus could speak about spiritual things because He came from there and will return there. Since He is the only One who came from the Father and the Father's heavenly home, He is the Only One who can tell people about the Kingdom of God.